Callaway has revealed the follow up to its popular XR line and says it teamed up with Boeing, the world’s largest aerospace company, to ‘deliver the ultimate in ball speed’. The line includes the XR 16 driver, XR Pro 16 driver and XR 16 fairway woods and Callaway worked with the aircraft specialists to try and redefine what’s possible with ball speed and aerodynamics. It appears they’ve achieved it, too, with the XR 16 driver featuring Callaway’s most forgiving shape ever, while the speed comes from the re-engineered Speed Step Crown. While it may look very similar to last year’s driver when you first pick it up, Callaway has focussed on making small changes that come together to make a major difference. The head has been designed to be more aerodynamic to allow it to move more efficiently through the air, while the crown features small raised sections behind the top of the face to ensure air sticks more closely to the clubhead for longer, reducing the drag impacting on it during the swing. Forgiveness comes from a change in the shape of the crown. It has been stretched to make it larger which, in turn, has allowed Callaway to move its centre of gravity lower and deeper. All of this combines to increase the MOI, giving more forgiveness than last year’s model from the tee. For more ball speed across the face, Callaway has installed its next generation R-MOTO face that is nine-grams lighter and up to 19% thinner, giving more distance more consistently on off-centre hits. The XR Pro 16 driver, meanwhile, has many of the same features as the standard model but a slightly smaller 450cc head. Perfect for players who already et a lot of distance off the tee, it has the new Speed Step Crown, a lower and deeper centre of gravity and the re-engineered R-MOTO face. 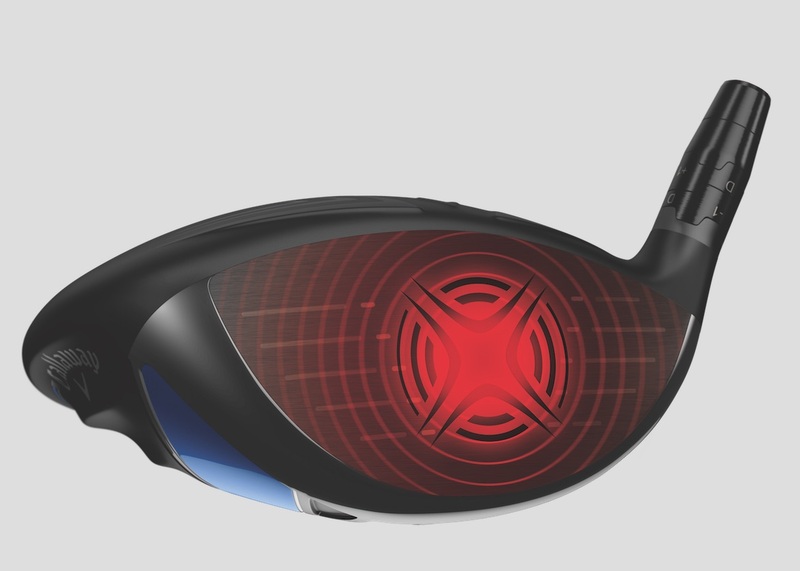 Dr Alan Hocknell, head of research and development at Callaway Golf, said: "With the XR 16 project we set ourselves the task of producing an aerodynamically superior driver that challenged convention. "With the assistance of Boeing's top engineers on our aerodynamic research we were able to bring together all the key elements of performance to generate maximum distance without a loss of forgiveness in the head. As a result we have managed to deliver a head design which is extraordinarily fast, but also very forgiving." Callaway says it has made huge leaps in the technology that has helped it become the No.1 rated fairway wood in golf and its new XR 16 fairway woods are more forgiving and easier to hit than any of its predecessors. Bigger, hotter and more forgiving than the 2015 model, it features the brand’s lightest crown ever for more ball speed and distance. Higher ball speed also comes from the Hyper Speed Face Cup technology, while a more aerodynamic head shape also aids increases in ball speed.